Try out a few of these tactics to help your child get on a daily routine and the right track for great oral health. 1.) Set a good example! Lead by example. Show your kids your oral health routine. Let them watch, hand them a toothbrush or if age appropriate some dental floss. Make it a positive experience that is a part of your daily routine. What’s a little baby doll brushing or practicing on a quick brush on you going to hurt? Nothing! In fact the more familiar the activity becomes for the child the more comfortable and easier to keep up those good oral hygiene habits! 3) Rewards. They work. Use them. There is something that will entice your little one to brush those chompers. Is it a sticker chart? Maybe it’s a new toothbrush or a special tooth paste? There are several brands of tooth brushes that look and feel like toys, perfect rewards for good brushing. What brings kids to the sink? Tunes and apps. That’s right, go to your favorite app store and check out the various apps you can download to provide your oral diva some tunes to jam to. Perfectly timed so they know when it’s been long enough, and they can stop. 5) Let Them Do It! You know the struggle. Let them take the cap of the tooth paste, pour the fluoride into a cup, floss the front teeth… Whatever the task, let them participate as soon as the interest and ability is there. If you still feel the resistance maybe it’s the toothpaste? No really. Try a new flavor, try a no flavor. Remember the pallets of the young are sensitive and mint and heavy cinnamon can be over bearing for their taste buds. Start mild. Maybe it’s a new step stool to reach and see at a higher height. Try to see the experience from the smaller perspective. Try using your child’s imagination to your advantage. Tell them they are space heroes and their mouth has been invaded by a zillion sugar aliens they need to brush out- or maybe they are a Princess and they need to brush the glitter off their teeth. Whatever the game, try to remember what it was like to be a young child and how to enhance the experience for them. Don’t forget The American Academy of Pediatric Dentistry (AAPD) recommends that a child go to the dentist by age 1 or within six months after the first tooth erupts. Primary teeth typically begin growing in around 6 months of age. 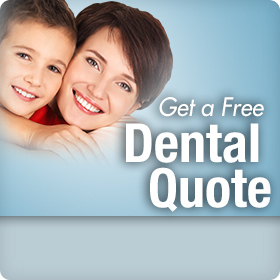 Find great dental plans for any age here.